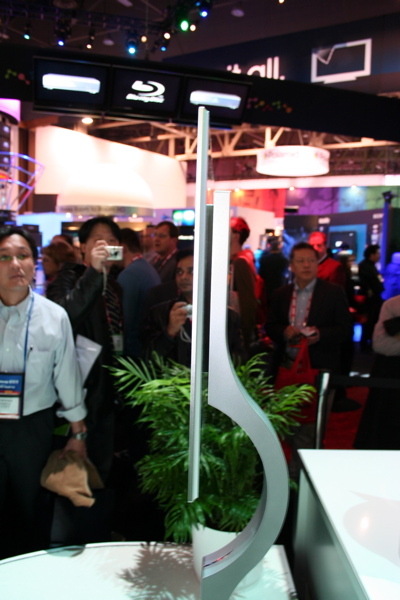 Sony is impressing a lot of people at CES this year. Their booth is an excellent mix of forward-looking prototypes as well as currently available products—and a few that are treading that line finely (like the soon-to-be-released three-millimeter-thin OLED TV seen above). 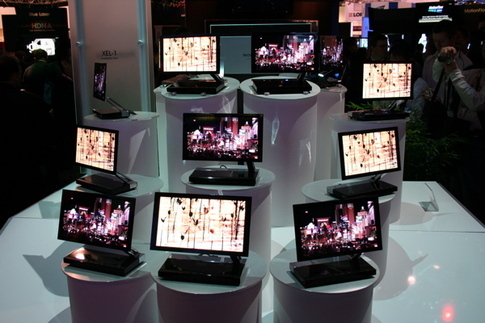 As impressive as their TVs are, Sony's up to plenty more. See what else caught our eye after the break. Aside from their 11-inch model that's shipping in the U.S. this month, Sony also brought out their full-HD 27-inch version. 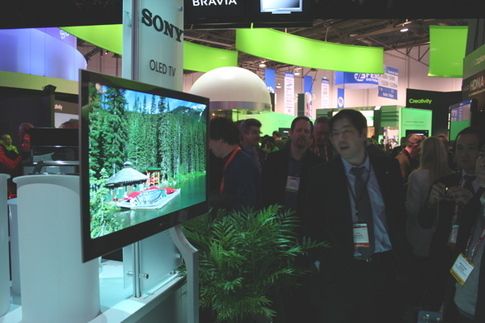 Less notable was a full line of updated Bravia flat-panels that will be hitting stores this spring. The 27-inch version is a ridiculous 10-millimeters thin, with 1980x1080 resolution and an equally ridiculous 1,000,000:1 contrast ratio. For more on the technology behind OLEDs and the other thin-panel technologies dominating this year's TV landscape, read our report from the current issue of PopSci here. 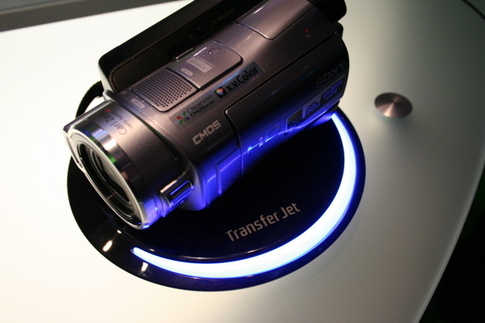 Sony was also demonstrating a prototype of their work with Near Field Communication in the form of the "Transfer Jet" a wireless pad that can transfer data from cameras, camcorders, MP3 players or any other Near Field capable devices at 375 Mbits/sec—fast enough for streaming HD video to a media center PC in real time. 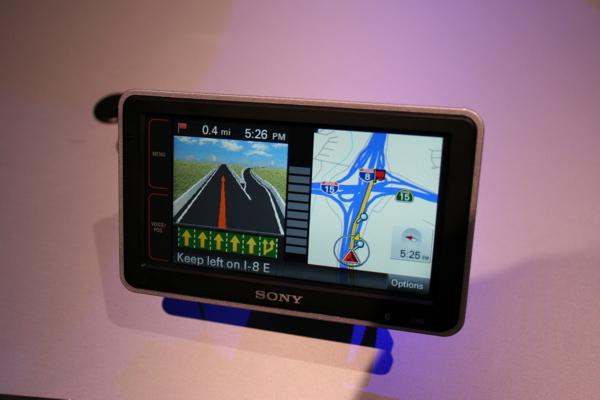 Low-bandwidth Near Field Communication is already well developed (read more here), but Sony expects high-speed applications to hit in 2009. Having been deemed sufficiently worthwhile to be removed from the Japan-only category, the truly weird Rolly portable music speaker system is officially coming to the U.S. this year. 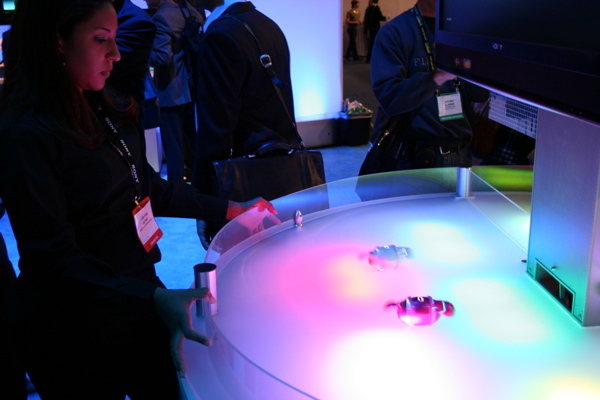 Stream your tunes to the Rolly, and watch it dance and spin to the beat. 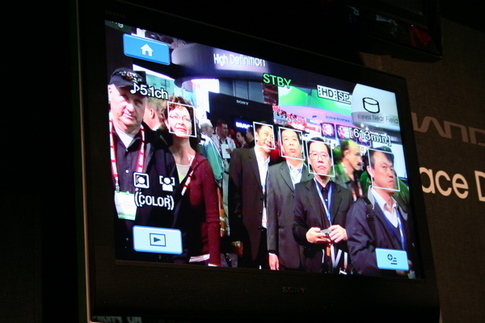 Also on display was Sony's new face-recognition support found in their new line of Handycams—the first camcorders to feature the technology. After spotting faces, the camera controls exposure and focus to keep them in clear detail, even as they move throughout the shot. The facially-aware Handycams will be available in March. For more on the tech, see our explanation here. Last but not least is the Mylo 2—the successor to the first Mylo released last year. Sony and Nokia are really the only two putting weight into the Wi-Fi-equipped portable Internet device category (Nokia's latest is the N810), which are notable for their lack of a mobile data network. 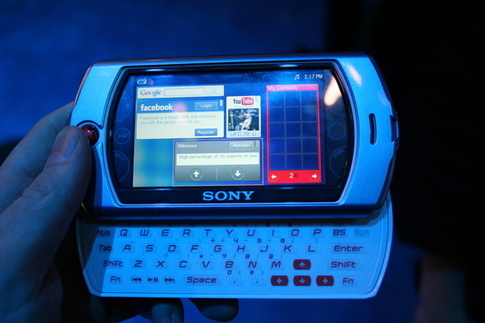 The Mylo 2 adds a high-res touchscreen, a 1.3MP camera, support for third-party widgets (seen here). this situation is very strange I can't understand it.